One of America's most authoritative bankers has said that a full economic recovery is still years away, adding that by the time it ends, this recession could be the deepest and longest to hit the United States since the 1940s. 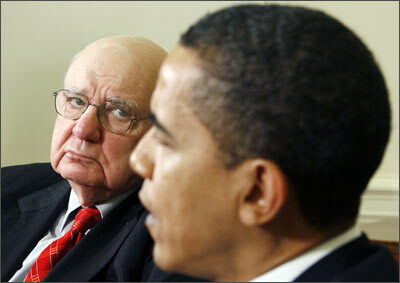 81-year-old Paul A Volcker, chair of US President Barack Obama's Economic Recovery Advisory Board, spoke to nearly 500 Brooklyn Law School graduates on Thursday, for the school's annual commencement address.His words were foreboding. Of the current recession, which began in December 2007, he said, '[it] is bound to be the longest recession since World War-II and could turn out to be the deepest as well.' He added, "In my view, as joined by many others, sweeping reforms are truly necessary, in banking, in markets, and in our regulatory institutions. Never again in my lifetime -- and much more relevant, in your lifetime -- should we permit financial excesses to wreak so much havoc on the American and world economy." Volcker, a Democrat, is a legendary central banker noted for his role in reigning in runaway double-digit inflation in the late 1970s and 1980s, when he served as chairman of the Federal Reserve Board during the Jimmy Carter and Ronald Reagan administrations. Inflation, which peaked at 13.5% in 1981, was successfully lowered to 3.2% by 1983. He claimed that the nearly 500 graduates, ready to enter the world as lawyers, have an important opportunity to positively affect the financial markets through new laws and regulations. But Volcker, former Chairman of the US Federal Reserve, isn't the only prominent economist warning that a full recovery will take years. 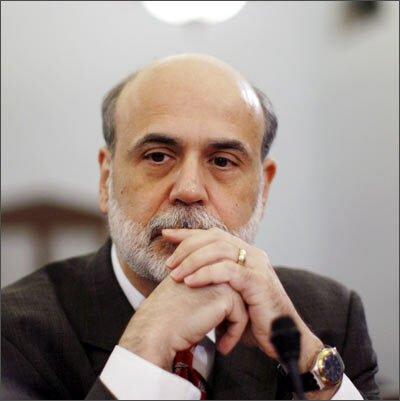 Current US Federal Reserve Chairman Ben Bernanke this week told US legislators that US economic recovery would be 'gradual'. Striking a relatively optimistic tone, Bernanke said that a number of indicators suggest the economic contraction may be slowing, but he clearly asserted that the US economy is still in a tenuous, fragile position. Bernanke, testifying before the House Budget Committee, said that he still hopes that the economy will start its recovery later this year. But there are factors working against recovery. "The weak labour market, the declines in equity and housing wealth that households have experienced over the past two years, and still-tight credit conditions," he said. He cautioned that recovery will only gradually gain momentum and that economic slack will diminish slowly, that companies will be wary of hiring and that the unemployment rate is likely to rise, even after economic growth resumes. America's unemployment rate, to be updated today, stands at a 25-year high of 8.9%. Many economists expect it to reach 10% later this year. As America's economy goes, so goes the world's economy. And according to an International Monetary Fund released in April, America's recession has become the world's. More than half of the world's countries have plunged into recession by the credit crunch, which has its origins in the US housing market bubble burst, a higher proportion than at any time since 1960, the IMF said. It also warned that the US, and thus global, downturn is likely to be "unusually severe and long-lasting", and will starve developing countries of resources. It's not only the IMF, however. Goolam Ballim, Standard Bank's chief economist, recently told more than 60 members of the Isle of Man's finance industry that the global economy might not recover until 2012. Ballim, one of South Africa's most respected economic commentators, says that massive stimulus packages will be needed to stave off the worst effects of the prolonged recession, but added that because of inflation concerns, stimulus packages carried their own risks. 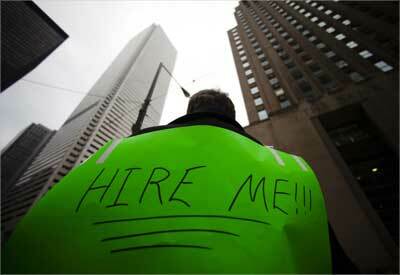 Image: A jobseeker, with a sign strapped to his back, tries to attract the attention of potential employers as he hands out resumes. And last month, a former top official at Japan's finance ministry said that the global recession could last 2 to 5 years, with hundreds of billions of dollars worth of stimulus packages in G20 countries not enough to stem the recessionary tide. Despite recent stock market rallies seen around the world, Eisuke Sakakibara said the recovery in its current form is not sustainable. Recovery in the global economy would most probably be 'L-shaped rather than V-shaped', he said, suggesting a protracted period of stagnant growth. He added that what happened to Japan in the 1990s is a microcosm for what's happening today in the US. Japan is still reeling from the effects of the 1990s recession, which saw long periods of stagnant to minimal growth. 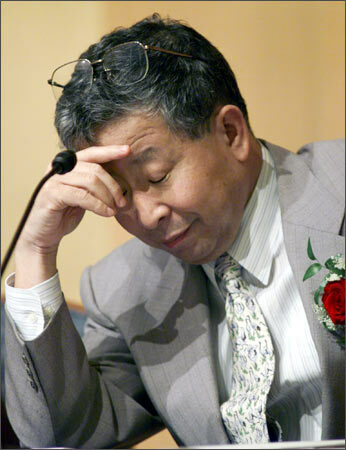 Sakakibara, Japan's vice finance minister in the 1990s, has been touted as a possible finance minister if the opposition wins in the upcoming Japanese general election. Finally, a recent Reuters poll of top analysts across Europe and the US predicted the financial crisis will wear on for another year or more. Other polls have shown slightly more optimistic results, but most everyone expects the recession to last through the bulk of 2009. What is agreed upon, however, is that Asia could be essential in kickstarting a recovery of the global economy. China and India in particular are expected to drive this growth.